For many of us with lawns, there tends to be at least one patch that has been damaged by the sun, our pets, or an attack by pests. Not to worry though, these front or backyard eyesores are relatively easy to tackle. There are a variety of tried and tested methods — some far more unique than others — to return these dead spots back to their lush green state. 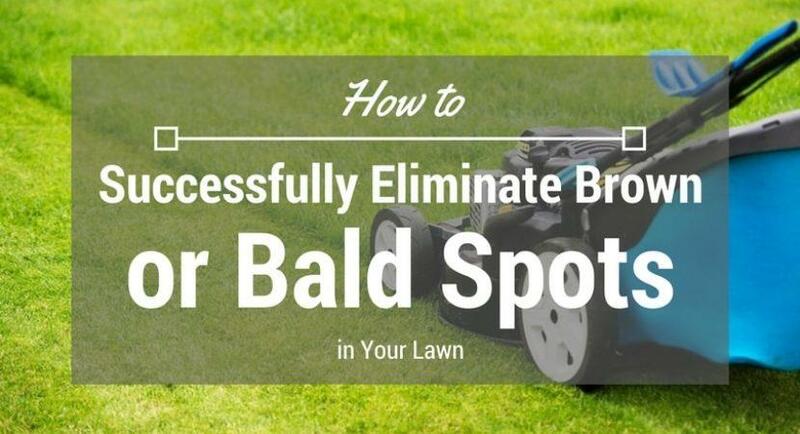 The following are just a few of the most common ways to successfully eliminate brown or bald spots in your beautiful lawn. There are certain lawn maintenance practices that could actually be contributing to your occurrence of dead or brown spots on your lawn. Inadequate irrigation may not support the necessary growth and survival of your grass. Similarly, excess watering could promote dangerous fungi growth while excess mowing could cut off essential and healthy portions of the grass. Additionally, having ﻿grass in shaded areas could contribute to brown patches or stunted growth. 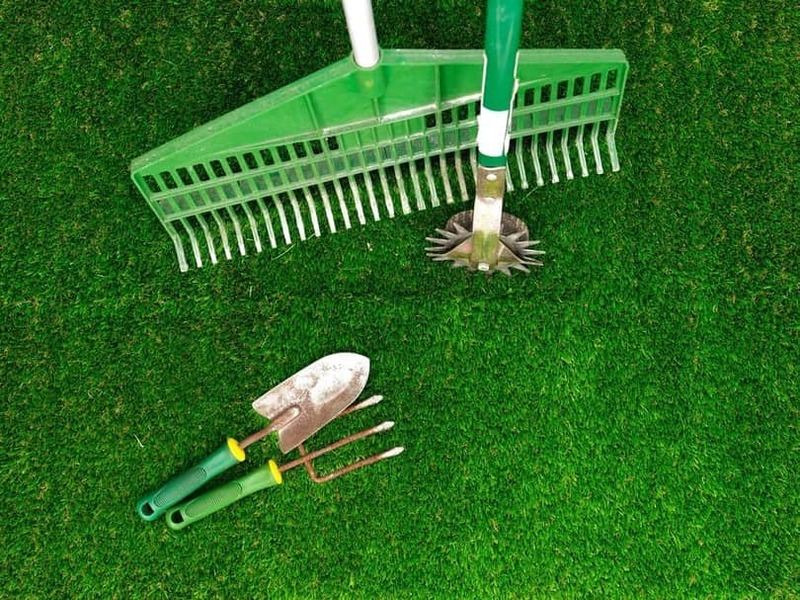 If you notice multiple brown spots during the summer, your lawn may be suffering from thatch. Thatch occurs when a thick layer of decomposed stems, roots and plant matter build up under the roots of the grass and prevent adequate water and nutrients from reaching your lawn. Thatch is easy to check for and just involves digging up a two inch chunk of grass to look for the unhealthy layer of mass. The thatch should then either be removed, or a variety of grass (like tall fescue or zoysia grass) that generally produces little thatch can be planted in its place. A patch of brown grass could be an indicator that there is a pest infestation and can be checked by looking at the roots to check for damage. Grubs are generally the most common lawn pest and can be treated with either insecticides or natural remedies such as the insecticidal neem oil, or by introducing beneficial nematodes or a milky spore disease. Patches of dead spots can be sprinkled with Epsom salt which, thanks to its magnesium and sulfur content, acts as a fertilizer. Epsom salt has a high solubility and it is a relatively cheap way to facilitate healthy green growth. If you are experiencing widespread bald or brown spots of lawn, a soil test could help determine the main root of the problem. In order for the grass to grow in a healthy manner, the pH should read above 6,0 to indicate that there is adequate nitrogen in the soil. If you find that you do need to add fertilizer, only do so until the pH reaches that optimal slightly acidic level. In order to correct pH issues, an application or two of slow-release fertilizer may be necessary. It is best to fertilize in autumn, not during periods of new growth. For a more natural and affordable alternative, a quarter-inch of healthy compost can be applied one or two times a year. In the case of a bald spot, there is not much that can be done aside from planting new grass. An area surrounding the bald spot should be removed shortly after spotting it. Compost and fertilizer can be added to the area before laying new sod or planting seeds. Frequent watering should be done until the new grass becomes healthy and established. By poking small holes in the lawn nutrients, water and air will be able to access the roots more easily — and help boost healthy growth. It is best to do this to support new growth, meaning in early to mid-spring. That’s right, the happy hour beverage serves multiple purposes — one of which includes the reparation of an unhealthy patch of grass. Acting as a fertilizer, the fermented sugars and nutrients of a regular beer will help provide adequate nutrition to the soil which, in turn, will help promote new grass growth. Not only that, but your brew will ensure that the new grass is stronger and will also work to neutralize the high levels of nitrogen from pet urine. Who would have thought that your flat stale beer would have such an ideal purpose!? When using a lawn mower, to help reduce continuous brown patches from occurring, cut the grass on a higher setting. If you cut the grass too low is can cause the area to become damaged and dry out too much which can lead to continuous brown or bald patches of grass. Instead lift the mower blade up a little to help the grass keep some moisture. To find the best riding lawn mower for you. Our top 2017 picks are here. As it is relatively common to have a patch of grass in a lawn that is not as healthy as the grass that surrounds it, it is nice to have such a plethora of ways to correct this. Everything from chemical fertilizers to old cans of beer can be used to boost the health of our beloved lawns. Hopefully this list will help you eliminate a dead or brown spot in your lawn and return it to a lush green paradise.